Grant-making is rarely a linear process. It often involves twists and turns along the way towards a goal. That’s because real progress can take years of sustained investment and partnership, and needs to adapt and innovate under the pressures of real-world events. When the Getty Foundation and its partners—the Getty Conservation Institute, the International Centre for the Study of the Preservation and Restoration of Cultural Property, and the International Committee for the Conservation of Mosaics—launched MOSAIKON in 2008, the goal of this broad-based initiative was to increase the capacity of professionals in North Africa and the Middle East to preserve, maintain, and display their ancient mosaic heritage. I was reminded of the need for grant-making to remain flexible on a recent visit to a MOSAIKON training program at the UNESCO World Heritage Site of Tipasa, Algeria. 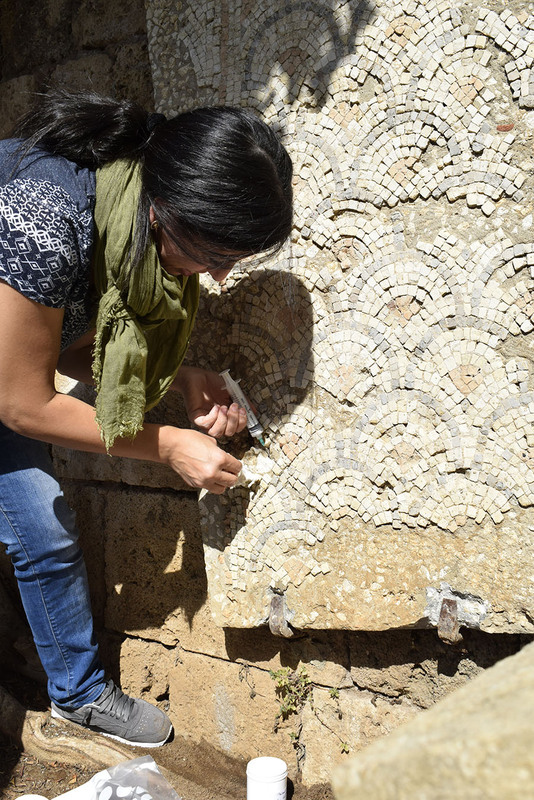 In this case, a grant initially designed to support a training program for Algerian restorers grew into a multinational collaboration that promises to shape the preservation of mosaic heritage in several countries for years to come. Composed of puzzle-like shards of glass, stone, marble, shell, and pottery, mosaics are one of the defining art forms of classical antiquity. Whether depicting everyday events, mythical creatures and deities, or ornate patterns, mosaics are not only beautiful artworks but also important records of life in the ancient Mediterranean. Because they were such a popular choice of floor decoration for the domestic and civic architecture of Greeks and Romans, tens of thousands of mosaics have survived across millennia to serve as portals for studying the past. The preservation of these mosaics has always presented unique challenges. 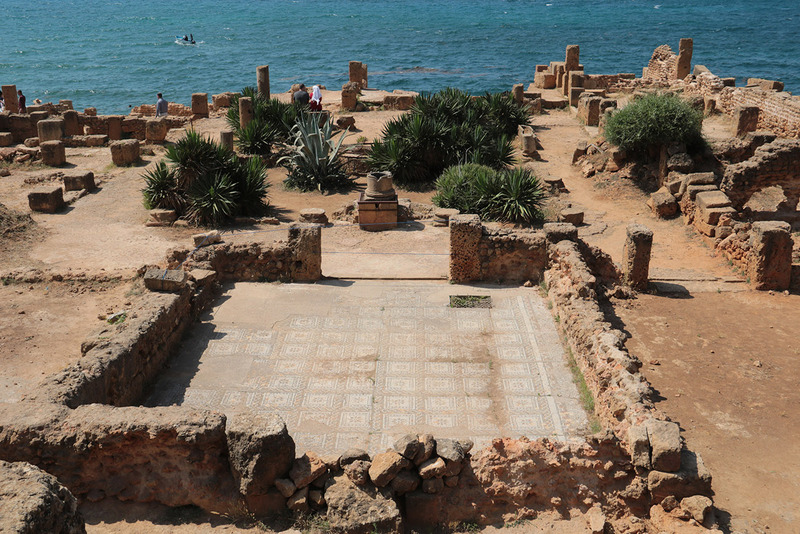 Mosaics left in situ at archaeological sites have suffered from exposure to the elements, damage and theft from looters, and the wear and tear of eager tourists. Mosaics that were “lifted” from their original archaeological sites and are now housed in museums were often handled in harmful ways during their removal, stored in poor conditions, and backed with materials that ultimately proved damaging. 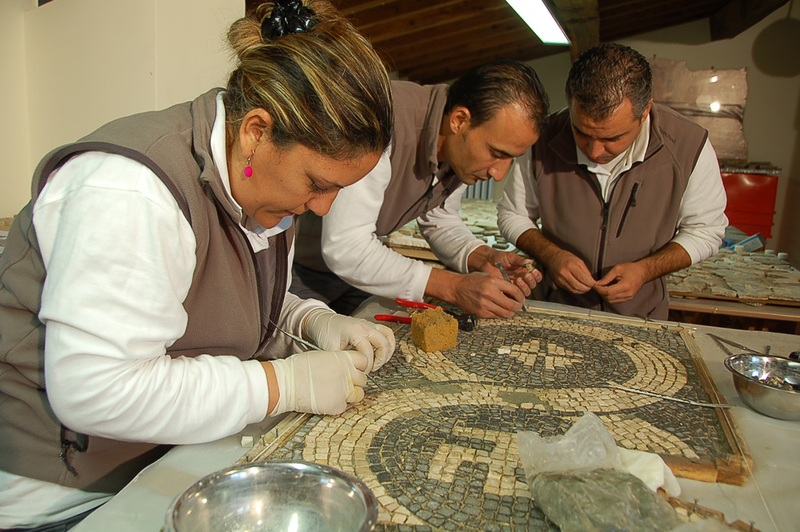 From the beginning a major pillar of MOSAIKON was to provide training for the site managers, restorers, and technicians who care for these mosaics. For its part, the Getty Foundation focused on “lifted” mosaics in museums, providing major grants in support of training programs for professionals from Syria, Libya, Tunisia, Lebanon, Egypt, Algeria, and Jordan. One of the first training courses was set to begin in Damascus in early 2011—precisely as protests erupted in the Syrian capital. After some hurried preparations, the instructor relocated the course to a conservation training facility near Rome, Italy, where the Syrian restorers were able to work together for uninterrupted periods of time. What appeared initially as a major setback eventually resulted in an enhanced training opportunity. Participants were able to apply the techniques they learned in the classroom to the conservation of several second-century Roman mosaics loaned from the Museo delle Terme in Italy. From this moment on we realized that conditions in the Mediterranean region might require us to adjust our funding agreements as events unfolded and embrace opportunities that came along. This need to be flexible was again apparent in our work in Algeria. Algeria is home to almost 5,000 square meters of lifted mosaics in museums and storage. Given the sheer volume and quality of these mosaics, an early MOSAIKON grant was intended to support training for Algerian restorers in their home country. However, when unforeseen political circumstances postponed the start date, a new approach was needed. 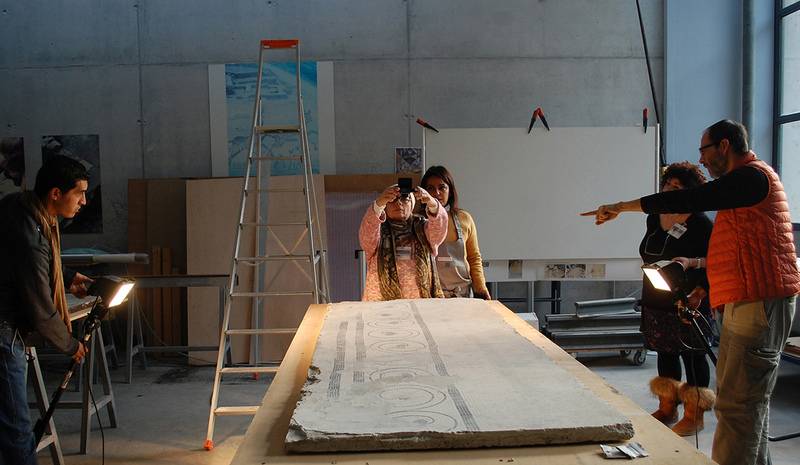 The training program relocated to the Musée Départemental Arles Antique in Arles, France where the primary trainer Patrick Blanc—a recognized expert in the conservation of mosaics—was based. Given that the original plan of training conservators in-country had shifted, we embraced the museum’s suggestion to open up the course to several promising restorers from Lebanon and Egypt as well. One of the goals for MOSAIKON is to support the development of professional networks across the region, so this reimagined workshop in the south of France became a mechanism for doing just that. During three modules over the course of 14 months, the group from the three countries worked side by side to exchange knowledge, forge new friendships, and gain valuable conservation experience. As the initial program concluded, the heads of the antiquities authorities from Algeria and Lebanon jointly approached the foundation and asked us to consider additional training modules in their countries. 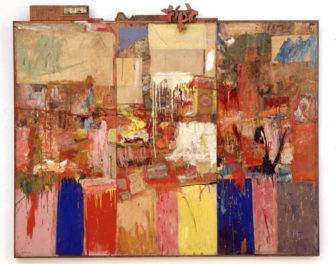 Though not a part of our original strategy, we quickly agreed as their own commitment was evident: not only would they reciprocate contributing to the costs of airfare and housing each other’s citizens, but they would also build dedicated and permanent workshops in their home countries for the newly trained professionals. The two additional training modules have now been completed, the first in Byblos, Lebanon and the second in Tipasa, Algeria. 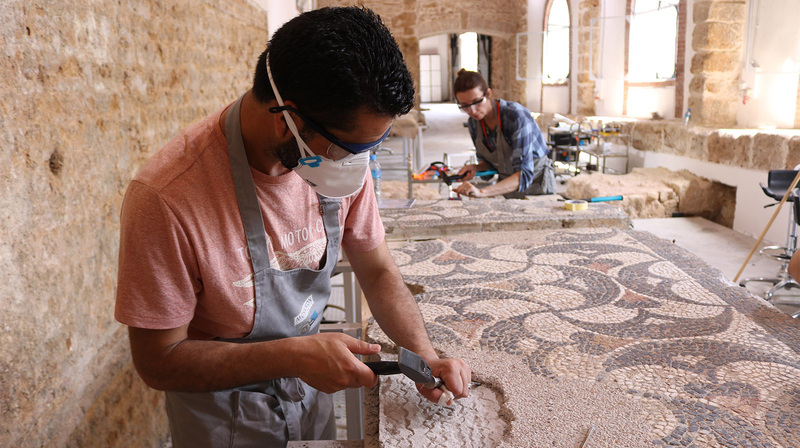 At Byblos in the fall of 2017, trainees augmented their skills in documenting and restoring lifted mosaics. At the end of the course they participated in the inauguration of a new workshop and laboratory built with the generous assistance of the South Korean government. This past summer trainees convened again at the UNESCO World Heritage Site in Tipasa, an ancient Punic trading post, to hone their skills in diagnosing the conditions of lifted mosaics and in transferring them from historical supports (e.g., lime, concrete, plaster, and wood) to new, lighter-weight aluminum honeycomb backing. I was fortunate to attend a portion of the monthlong session in Tipasa. 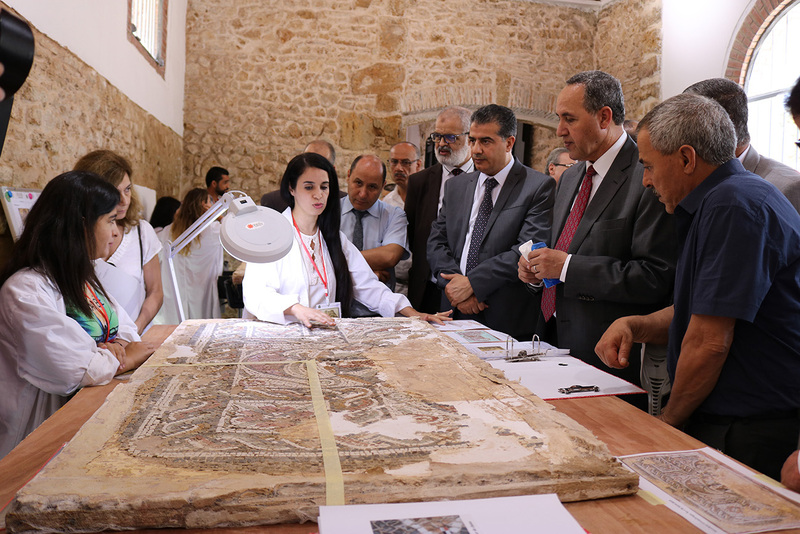 During that time we celebrated the opening of a new mosaics conservation workshop and laboratory built by the Algerian Antiquities Authorities. 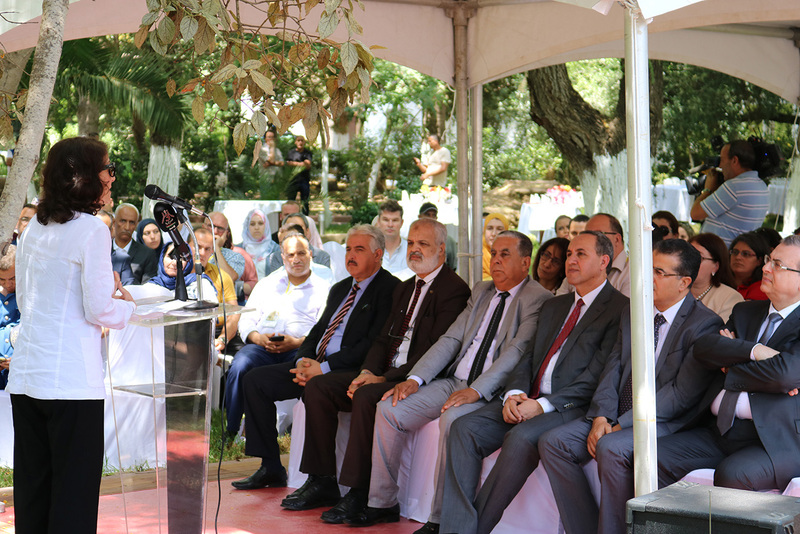 The Algerian minister of culture, the directors general of the Lebanese and Algerian antiquities authorities, representatives from the U.S. Embassy, and the Tunisian ambassador to Algeria were all in attendance at the dedication ceremony. Their presence reflected the shared value placed on cultural heritage in the region. I also had the pleasure of seeing firsthand the growth in skills and confidence among the restorers as they eagerly presented their work to the Algerian minister of culture and other dignitaries. Their joyful camaraderie and proud commitment to their work were palpable that day. Like many initiatives related to cultural heritage, this training program demonstrated that grantees—the dedicated individuals working on the ground—are really the ones making change. And, that this often includes building community and ensuring a legacy of continued partnership. For MOSAIKON in general, this means new networks of professionals in the region and the readiness of a new generation of practitioners to train their successors. For this particular training program, the Algerian and Lebanese governments continue to offer substantial investments and long-term commitments to safeguarding the cultural patrimony of their countries and region. When I initially decided to travel to Algeria, it was to celebrate the culmination of several years of hard work by MOSAIKON partners and participants. And indeed, it was an honor watching the trainees receive their diplomas. But I left knowing that we have arrived at a new chapter. The conservation work in both countries’ recently opened workshops has only just begun, and the trainees are now part of a growing international network supporting their work. MOSAIKON has helped to build capacity in the region, so that the site managers, technicians, and restorers responsible for mosaics now have the knowledge and skills they need to protect this endangered inheritance from the ancient world, which is a part of our collective human history. 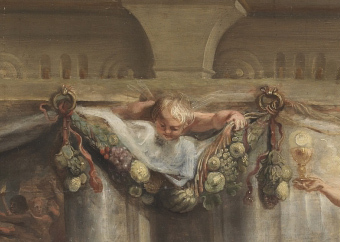 I am very excited to read an update of this inspiring Getty program – creating support and opportunities for international cooperation and cultural stewardship. Thank you Joan. 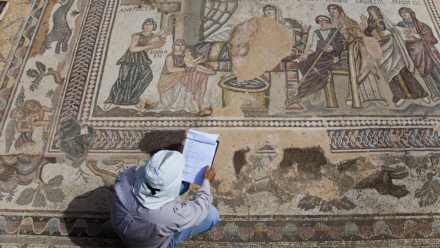 Thank you for the work you are doing to conserve Mosaics from antiquity. Even though I work as an Interpreter/translator my first degree is in Art History with a concentration in Greek and Roman Art. I enjoy The Getty Villa and the work that The Getty does, I do thank you for that because conservation of our past is very important for our future as humans. I would be interested to know the source of the lighter-weight aluminum honeycomb backing. Thank you for your question. Since there are several sources for this material (and many different qualities), our staff suggest that you search online using the key words “aluminum honeycomb panel suppliers” and then you will find at least ten suppliers, both industrial and consumer.